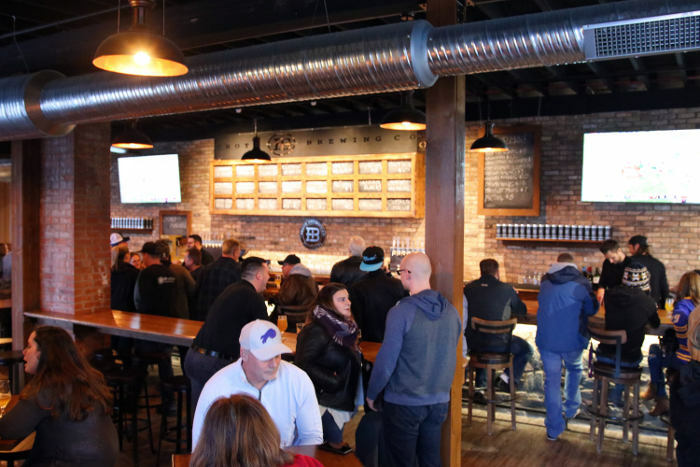 Buffalo’s brewery scene is getting to the point where new and established breweries are now staking out territory. Downtown? Check. Larkinville? Check. The area between Larkinville and downtown? Check… aaand check. 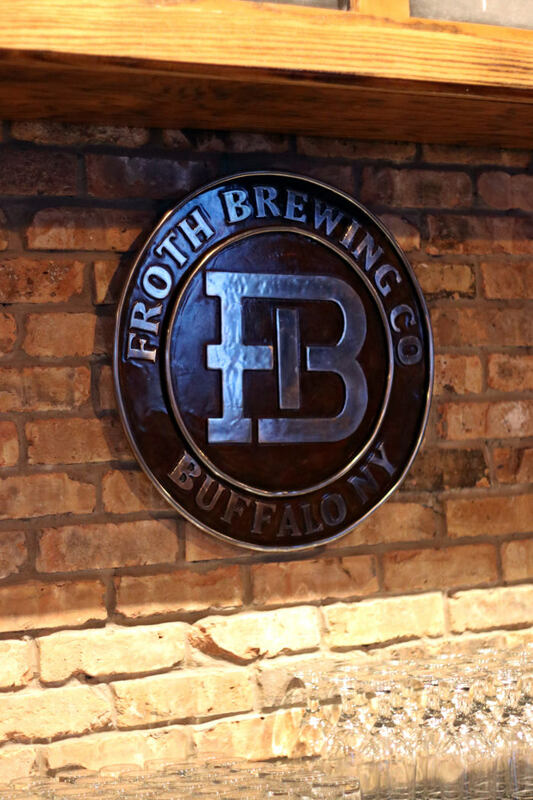 Froth Brewing Company is the latest brewery to stake its claim in Western New York’s liquid gold rush, laying its foundations on Military Road, where North Buffalo hesitantly shakes hands with Riverside. 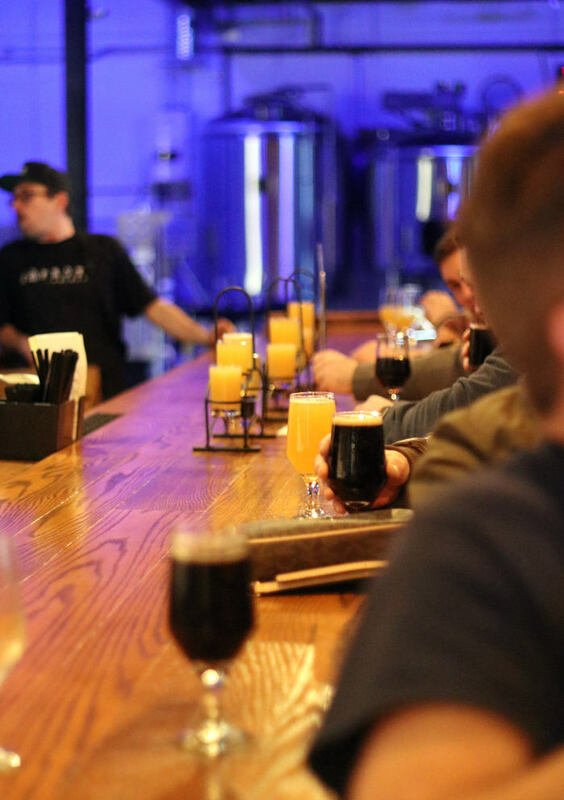 While WNY is currently being balkanized by various breweries, that doesn’t mean the brewery scene is divided. 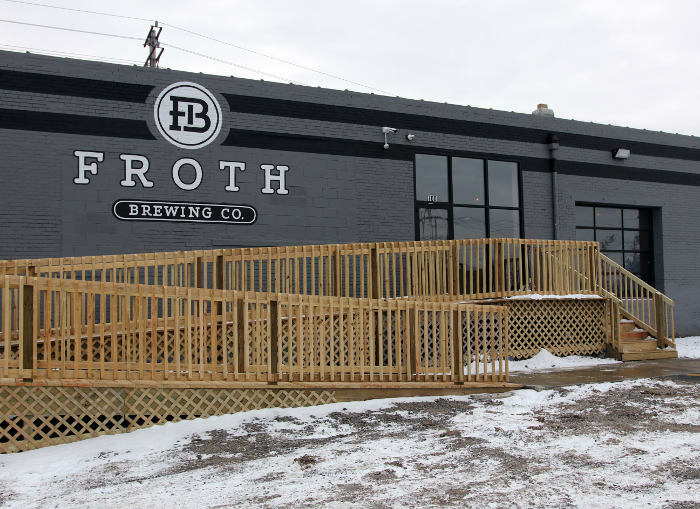 In fact, far from it, according to Froth Brewing’s co-owner Jesse McLaughlin. 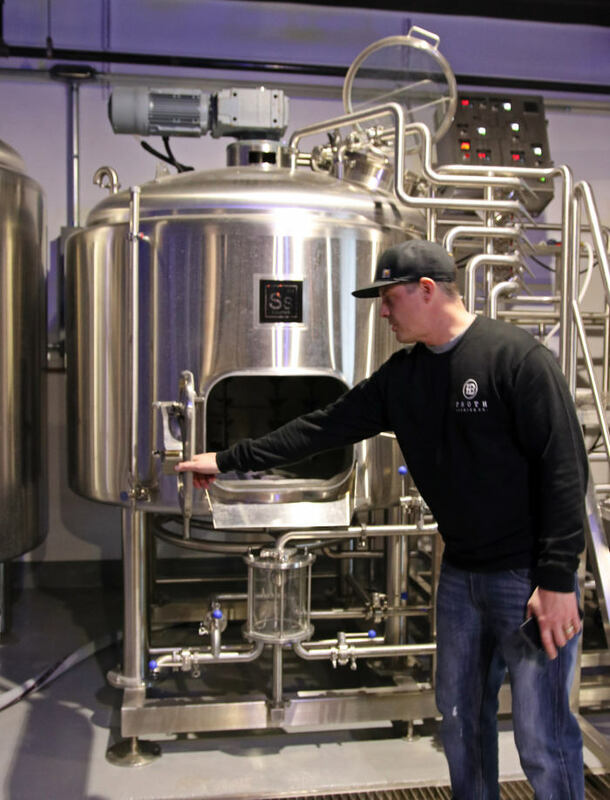 Despite all the kum-ba-ya in the local brewing game, basic business principles demand that Froth Brewing distinguish itself, and McLaughlin said his company plans to do that through both a progressive approach to brewing and an emphasis on high-quality, seasonal food. 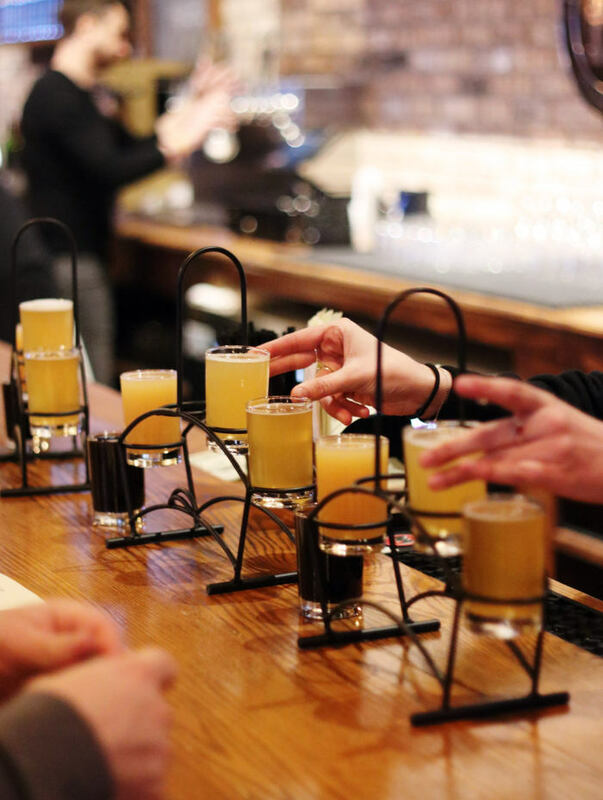 On our recent visit, Froth was serving up four nu-skool beers and a classic-tasting pilsner. 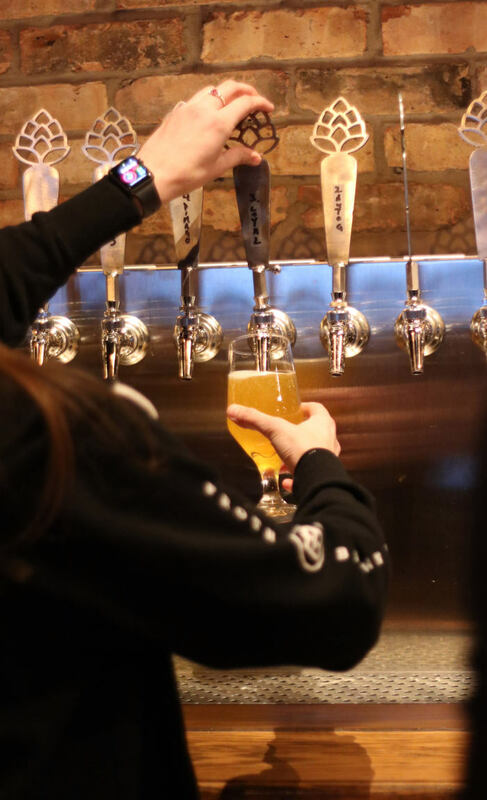 The Autograph blonde ale stood out for its full spectrum of flavor, running the gamut from juicy hops to sweet, earthy malt. 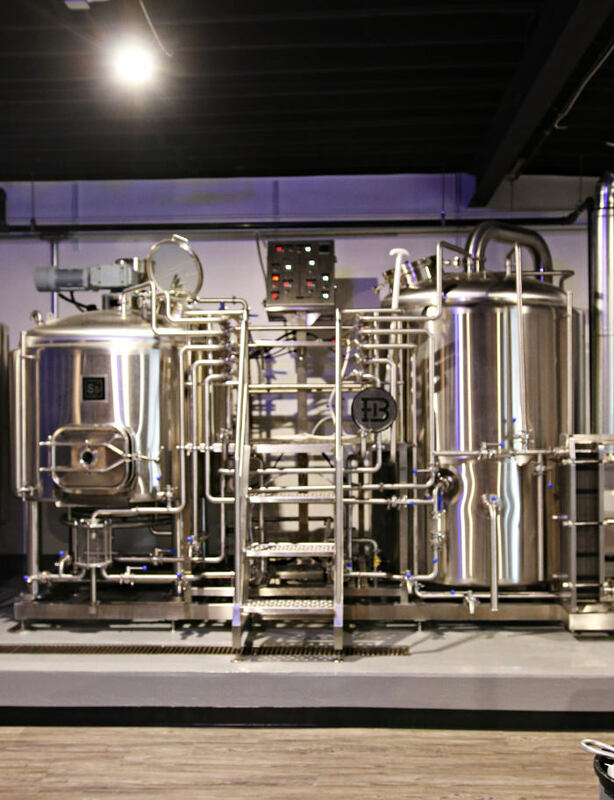 The DiMaggio was a next-level double IPA, with citrus pith hops anchored to a solid malt backbone. 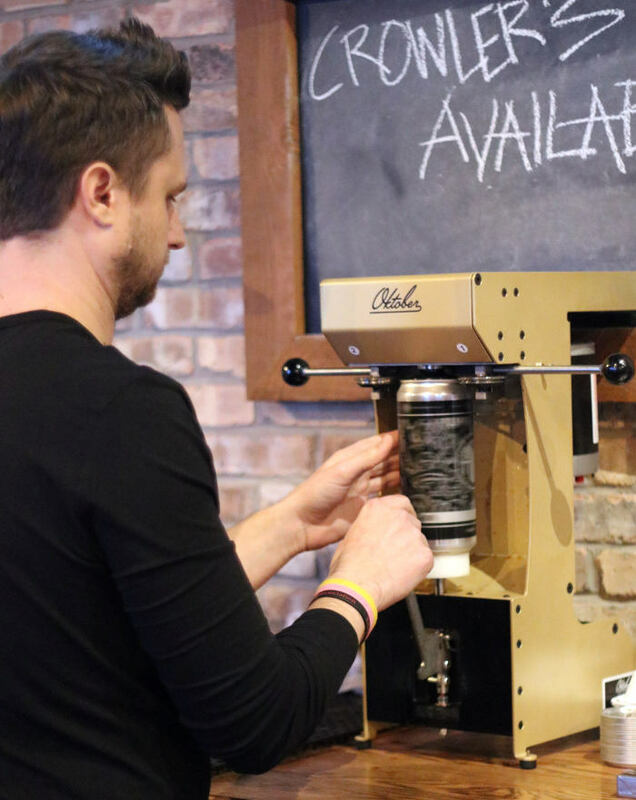 The Mounds Bar stout did what it says on the label; shipped sweet, toasted coconut and softly smoky flavors that masked a diabolical 6.8 percent ABV. 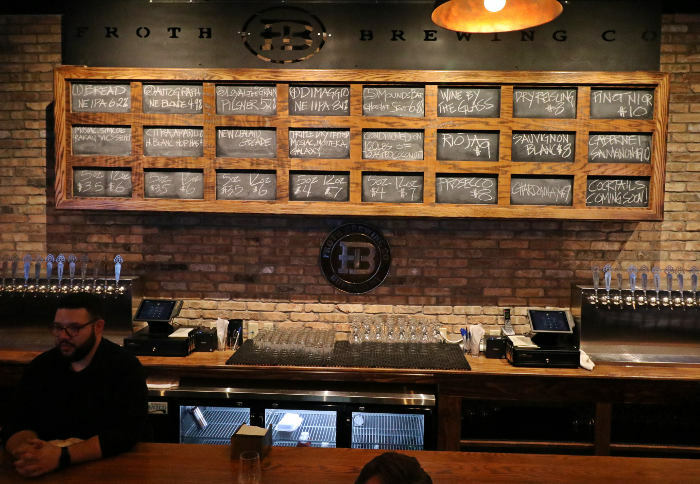 Froth also looks to separate itself from the pack by trying to avoid the now-conventional warehouse feel of brewery tasting rooms. 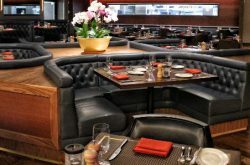 Walk in and you’ll find dark-stained wood, exposed brick and multi-hued LED lighting. 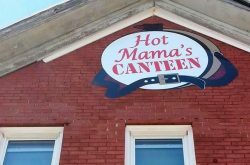 On our visit, buckets of natural light poured in from two large, windowed garage doors while a classic rock soundtrack pumped out overhead and playoff football flashed across large TV screens. 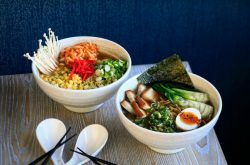 Culinary arts are also a focus at Froth. 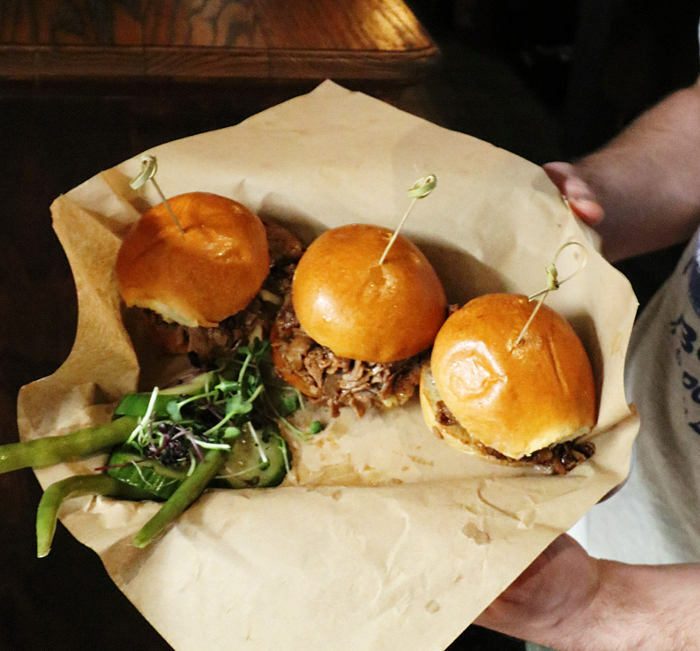 Prime-rib sliders ($14), fried calamari ($12) and a charcuterie board ($14) were opening weekend highlights, and McLaughlin said the brewery’s two chefs will focus on seasonality moving forward. 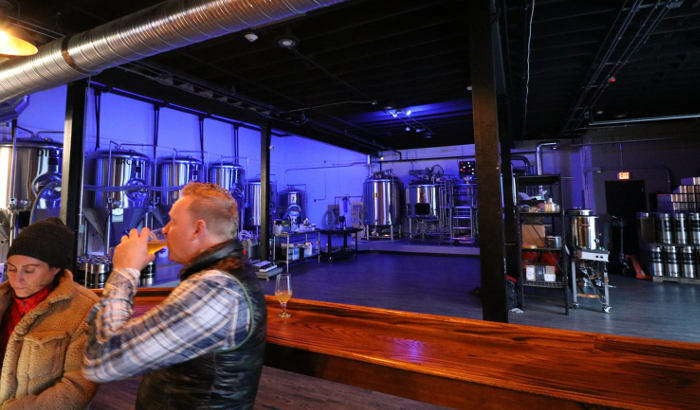 The brewery is currently waiting on regulatory approval to build out a patio for the warm weather, and McLaughlin said we should expect to see a lot more beer offerings in the future. 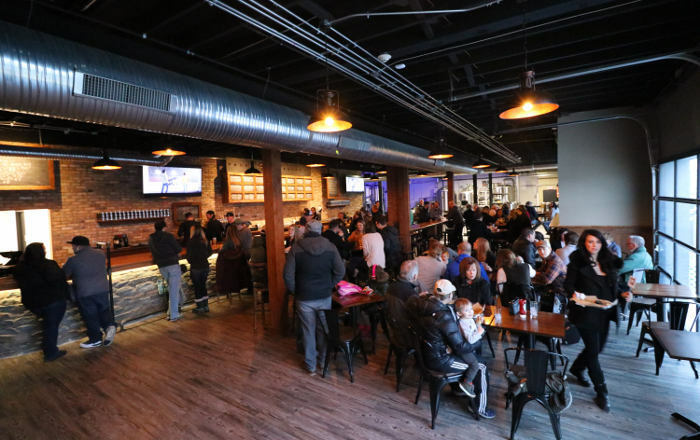 All of that sounds like good reasons to head out to the newest local brewery, in the Riverside-meets-North Buffalo area.